It's been a while since we all ran about on clean, minimalistic rooftops in Mirror's Edge. Over eight years ago in fact. Developed by Swedish developers DICE of Battlefield fame, the original game gained a lot of PR for it's innovative gameplay and creative setting back in 2008. A running game if you like, born out of the growing parkour popularity from YouTube, taking what Assassin's Creed was early to deliver in gaming form a step or five further. 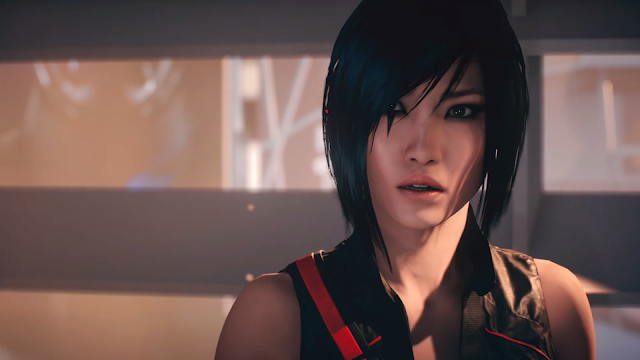 While it mostly received positive reviews in general, plus praise from gamers wanting something else in the first person genre than just shooting, it commercially did strong with over two million copies sold. However, it did not start a trend or spark enough following become a huge new IP for EA. Busy with their various Battlefield developments, DICE put the franchise on hold for years. 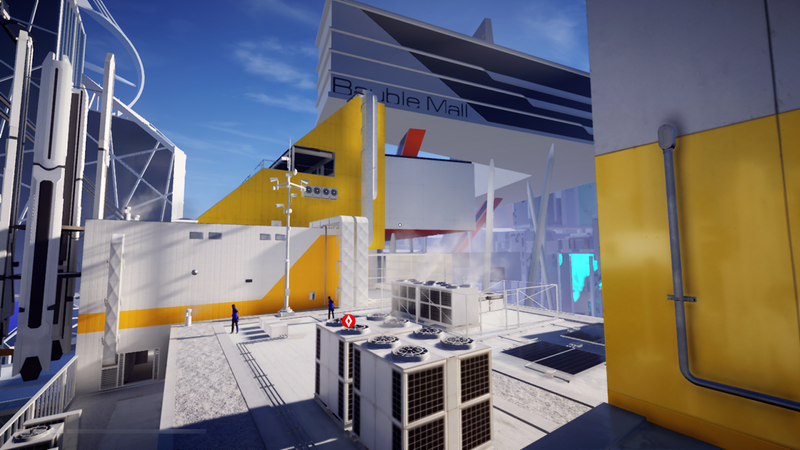 Last year, Mirror's Edge resurfaced and at the same time rebooted itself. Nothing lost as such, since the original story was a weak and forgettable offering. 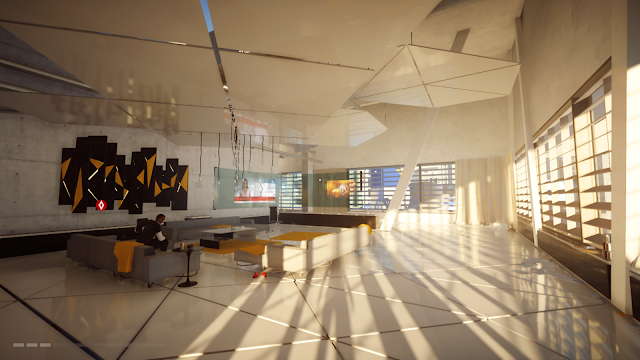 Catalyst is the title for the new Mirror's Edge and it retains it's main character Faith. Judging by it's rapid fall in price and the fact I bought it the same year for a "75% off" sale maybe gives an indication that the franchise didn't need a new iteration. I really enjoyed the first game, it's one of the best ones to come out of the last generation, but it also left me with the thought; "Do I really need more of this?" It's a game that sort of started something new and fantastic, then ended it at the same time. Along with lots of other titles to play, Catalyst ended up just falling to the back of my wishlist and out of my memory. Just before Christmas last year I spotted it for a massively reduced price and decided to give it a chance. I had loved the original after all. What struck me immediately with Catalyst is how little has changed, yet there's a fundamental difference to the game world. The whole concept has been modernised into something brand new. The gameplay is still very much alike; you use the shoulder buttons to jump and slide, while combinations with the other buttons let you turn mid-air, land softly etc. Incorporated too, is a leveling system which at first gives you a fairly limited set of moves. Upgrading your moveset lets you traverse the world in a more advanced fashion and reach areas previously inaccessible. This unlocking system is perfect for newcomers as they are slowly introduced to new moves. It's also works as an incentive to complete side missions and collect XP orbs scattered around in challenging places to reach. While visually the game is more diverse this time around with realtime lighting, shifting beautifully from day to night, the actual open world sandbox setting is where Catalyst shines technically. 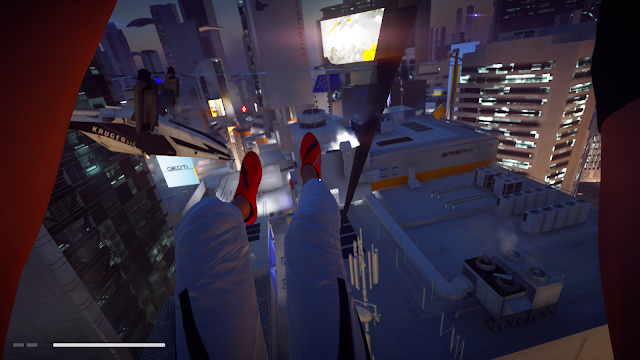 It fits perfectly with the old Mirror's Edge gamestyle. Sure, the first game had some fairly varied settings it threw you into, but each level was basically a route from A to B. This time you can choose the route that suits you the best and lets the player become far more creative with their parkour traversal. There's also buildings to go inside, simply to pass through or explore on your way to a destination, giving the city a more believable volume to it. Running on the Frostbite 3 engine to DICE, Catalyst holds a fairly steady 60fps with some minor stuttering occurring when new areas are loaded in. The high framerate helps the controls and movement seem even tighter and faster than before. It's nice to see DICE focusing on delivering 60fps as a priority over resolution this generation. Sadly though, the Xbox One version I played runs at a quite blurry 720p image, hiding a lot for the finer details from distance. I could imagine running this on a high spec PC in full HD will make it look fantastic. I'm glad to see the game distances itself from shooting, focusing on giving the player only melee fighting as an option this time around. 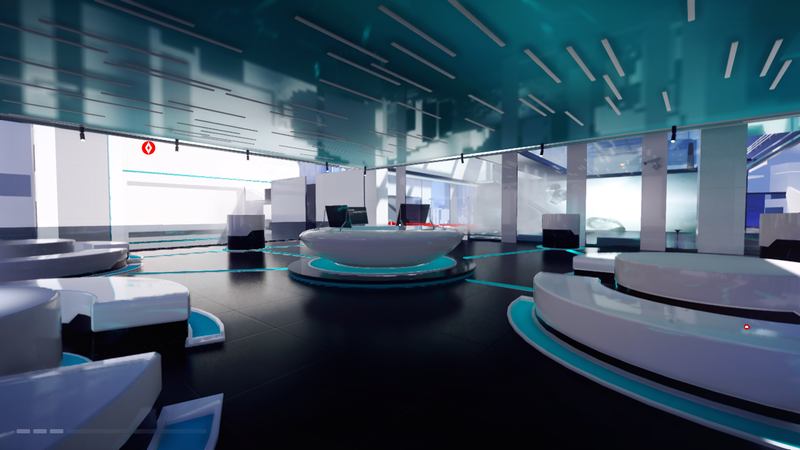 Avoidable before, the fighting in Catalyst is forced within story encounters, with some boss battles being really tricky. The key to succeed these hand to hand combat segments, is moving around consistently, never standing still for long. It's about avoiding being shot and delivering some hard hitting attacks combined with jumps. The upgrade system, I mentioned earlier, lets you increase your combat skills and tolerate more damage. At times though the combat can be frustratingly hard though, be warned. Sure Catalyst has it's issues. Firstly, there's nothing fundamentally game changing new here. It's basically the original Mirror's Edge gameplay set in an open world with a few new moves and a vastly upgraded combat system thrown in. Yet this type of gameplay isn't really utilised in other games, so it still manages to feel fresh. Secondly, the presentation in cutscenes is worth mentioning looks fantastic and the voice acting is very good, but the actual story is incredibly bland once again. I really didn't care for it's generic "evil corporation meets rebel group" scenario, the world simply didn't pull me in enough to care for it or the people inhabiting it. Perhaps here lies the ultimate problem for the previous game and this game; without a incentive to return to it's story and learn more of it's lore, once again I'm left not being interested in playing a sequel. At least this time there's quite a bit of open world stuff to collect and keep you playing after the story ends. 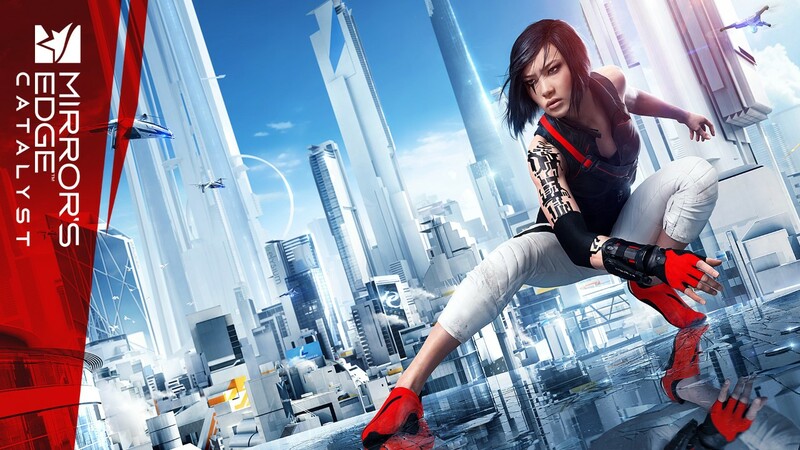 If you're new to Mirror's Edge then this is where to start. Unless you're really wanting to dig in, you can simply skip the original and have the almost exact same experience in a more modernised and larger package here. I'd wager to say that even after numerous years the Mirror's Edge gameplay is still very unique and unlike most other titles. 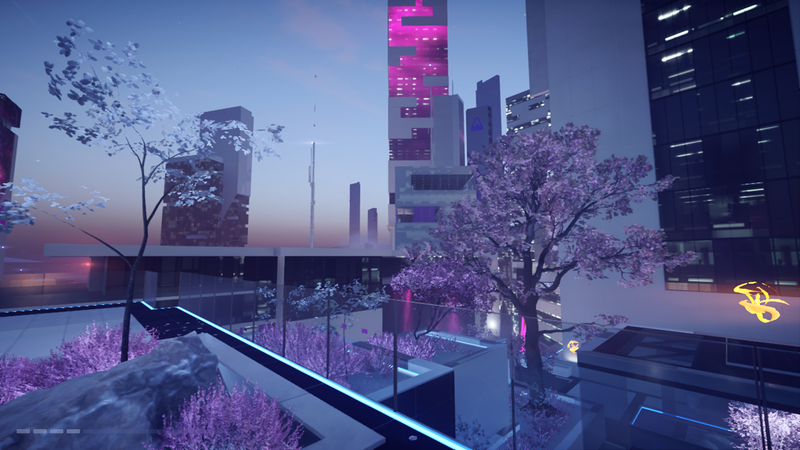 I went into Catalyst thinking it was just more of the same, and in a way it was, but it showed actually how good it originally was and modernises that memory into something larger and superior. I enjoyed the gameplay once again, was underwhelmed by the story once again but left a happy gamer at the end of the day. Recommended as a very different gameplay experience, but it may not be everyone's cup of tea. Neat open world that caters for the diverse moveset. Beautiful minimalistic and modern level design. Gameplay is still unique, looks flashy and feels entertaining. Cool main characters, but the story is bland with a underwhelming ending. Missions and tasks feel repetitive at times.